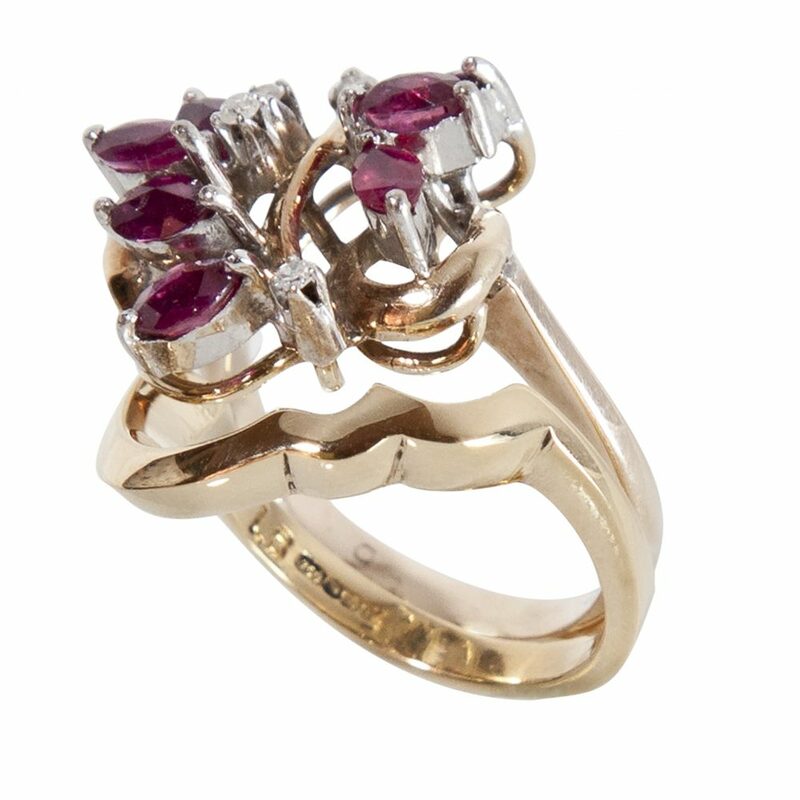 The vintage ruby and diamond ring was an inherited piece that was to be used as an engagement ring. There were rubies and diamonds missing from the ring. I sourced and colour matched the rubies and diamonds. I them set the stones and repaired the claws. When the clients got married they came to me to make a shaped fitted wedding ring to go around the engagement ring.